Terrot was started as a machinery factory by Charles Terrot and Wilhelm Stucklen in Germany, 1862. In 1887, they opened their second location in Dijon, France. In 1890, the factory started to produce bicycles in Cannstadt. Furthermore, the factory began manufacturing motorcycles as well. They seem to be on a mountain overlooking the blue sea with the sailboats in the background, and a lovely blue sky. 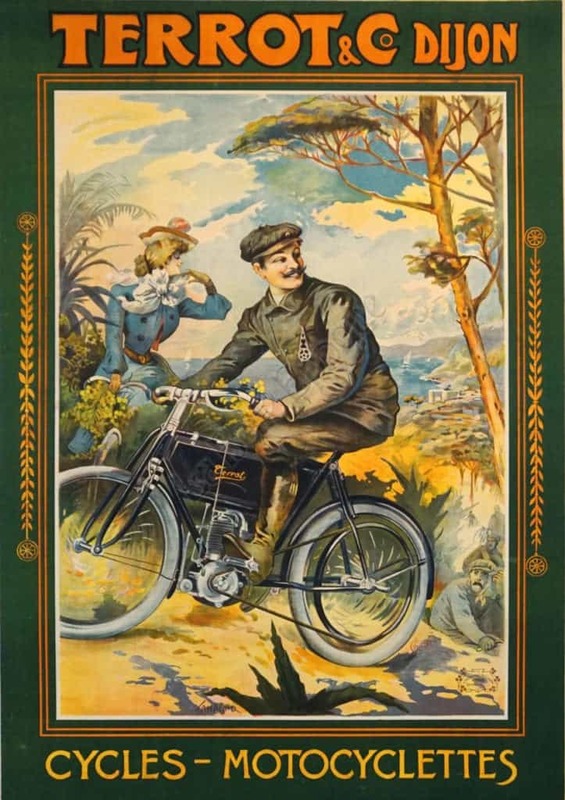 Like most Terrot posters, you see other bicycles amazed at the galore of the protagonists. This image is surrounded by a green border.